The town that fooled the British. Twenty-nine years after the War of Independence, the Americans were once again involved in a military conflict against the British Empire. The United States declared war on Britain in 1812 and the conflict lasted for 32 months. War was declared for a number of reasons – trade restrictions brought about by Britain’s ongoing war with France, British support of Native American tribes against American expansion, and possible American interest in annexing Canada. War had been raging for over a year when, in August 1813, a British fleet moved up the Chesapeake Bay and targeted the small town of St Michaels. St Michaels was a town of shipbuilders, her citizens crafting the clippers and schooners that posed such a threat to the British Navy. Under cover of early morning darkness on August 10th, the British began their bombardment of St Michaels but ultimately they failed to destroy the shipyards or cause any substantial damage to the town. According to a story that was recorded many years later, the citizens of St Michaels had been forewarned of the imminent attack and had evacuated most of the women, children, livestock and valuables to an area outside of the town. The commanding officer of the local militia ordered all lights in the township to be doused and called for lanterns to be hung in treetops just outside of the town. This first recorded military blackout caused the British to overshoot the town and only one dwelling was hit – a house now known as the Cannonball House. St Michael’s has been known ever since as “the town that fooled the British”. St Michaels Church, established in 1677. 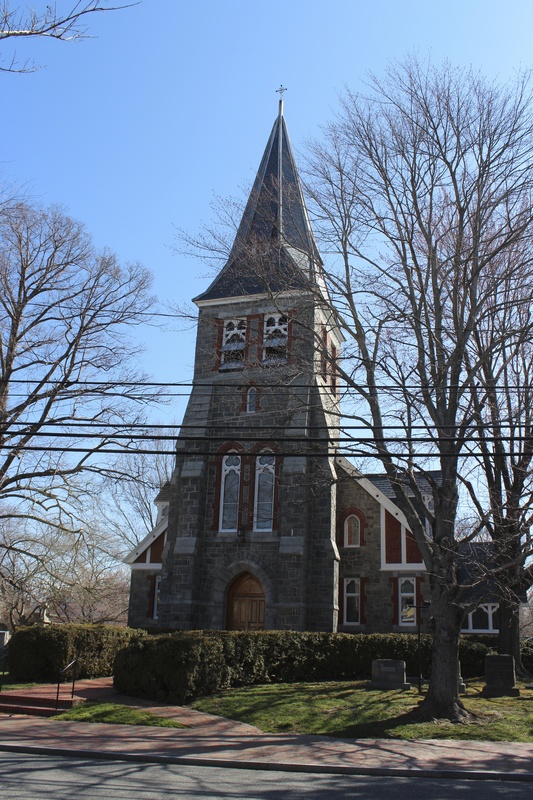 We stumbled on St Michaels quite by chance when looking for potential Easter getaway locations. We knew that the Chesapeake Bay area had a reputation for being beautiful and we also wanted to go somewhere that didn’t involve hours in the car. After settling on a general area, we started browsing holiday house rentals and soon found one called the River House. The photos were enticing and the reviews by previous guests were very complimentary – the fact that it was minutes away from a charming and carefully restored colonial town called St Michaels just added to the appeal. So on Thursday we loaded up the car, reassured Edie that the Easter Bunny would know where to find us and hit the road. The River House-on the right. 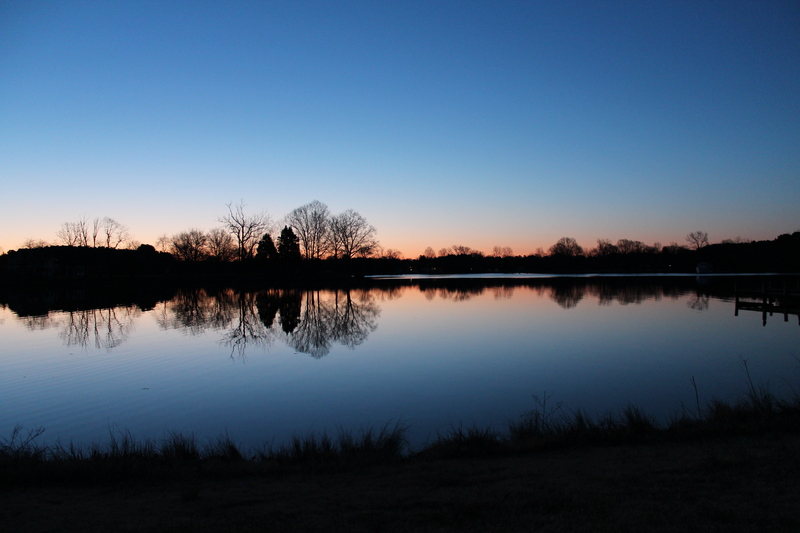 Richard took this photo early on Friday morning before heading out for his run. Such a beautiful moon. 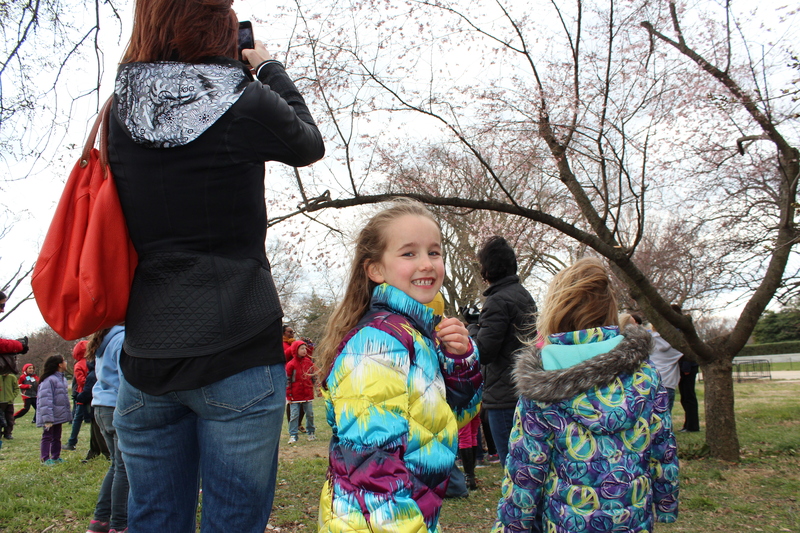 On route to St Michael’s we did a short detour into DC hoping to catch a glimpse of the famous cherry blossoms. We parked on the outskirts of the city and hopped on the Metro. Our destination was the Tidal Basin area, the focal point of the national Cherry Blossom Festival held every year.You may have surmised from my Facebook posts and photos that Spring has been very slow to show her face in these parts and as we walked from the Metro stop to the Jefferson Memorial we were met with a biting wind and lots of naked trees. The much admired blossoms, which normally bloom in late March, were nowhere to be seen. 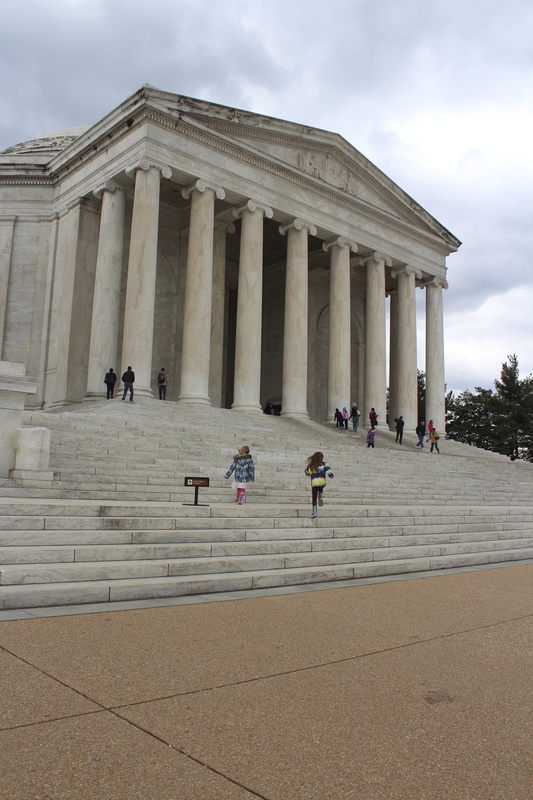 Despite our disappointment we felt we couldn’t leave without paying our respects to Mr Jefferson and our reward for continuing on in the cold, was the sight of one lone tree that had begun to flower. Yay Springtime! Check out those coats and if you squint you might catch a glimpse of pink on that tree! 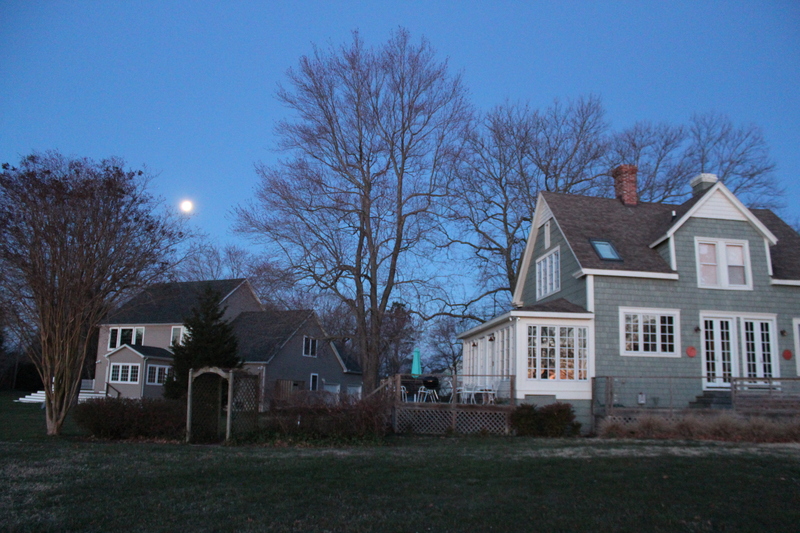 After the obligatory stop at Whole Foods to pick up supplies, we rolled into St Michaels late on Thursday afternoon. We were instantly charmed by the River House which sits right on a tributary of the Miles River and is decorated in a very chic French boho style. 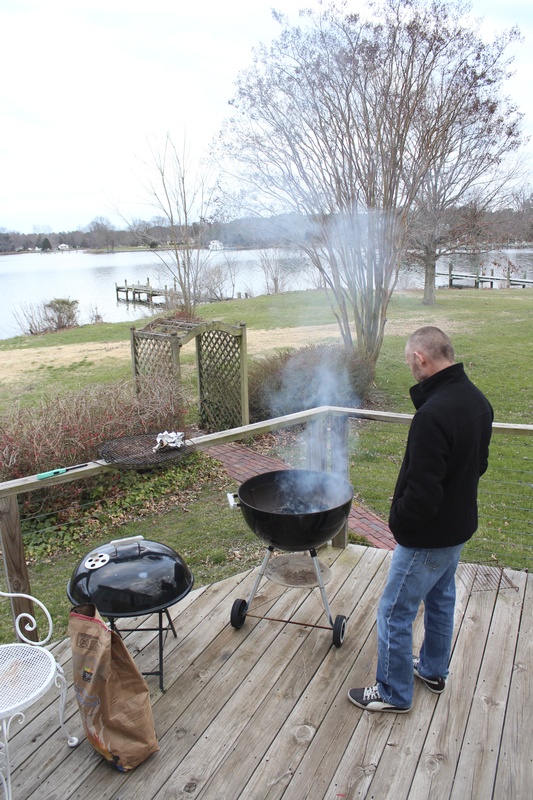 After the girls finished squealing and had settled the important debate as to who was sleeping where, we made a quick trip into St Michaels to source some extra supplies – that would be wine – and then headed home to fire up the BBQ. View from the house early Friday morning. Not a bad place to cook. Friday was pretty leisurely which was just what we wanted. No alarm jolted us awake in the morning; breakfast was eaten in a very relaxed manner; I taught the girls how to play Battle Ship whilst Richard snoozed after his big early morning run; the girls did yoga poses on the deck and generally made the most of being outside. River House is one of those great places with baskets of magazines in every room so in between my D4 …miss…E10…hit! conversation with the girls, I was able to sneak in a bit of glossy mag perusal. Around lunchtime we headed into St Michaels to check out an ice cream parlour we’d spotted the night before. On the way we popped into a few of the numerous boutiques that line both sides of the main street, and sussed out where we could catch a boat for a trip on the Miles River. 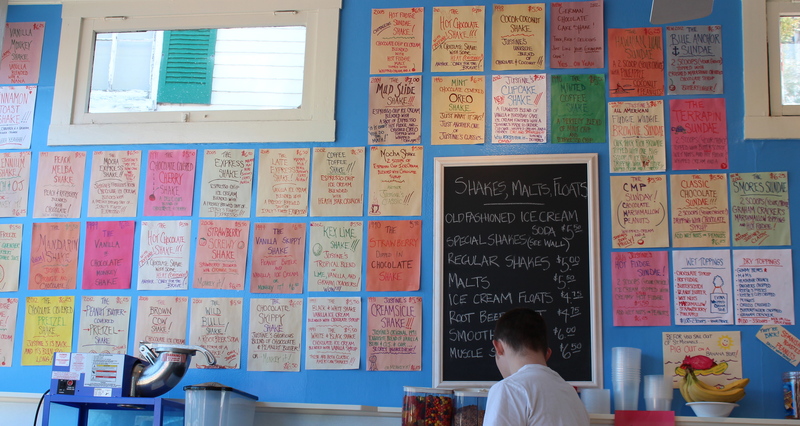 Oooodles of choices in Justine’s ice cream parlour. 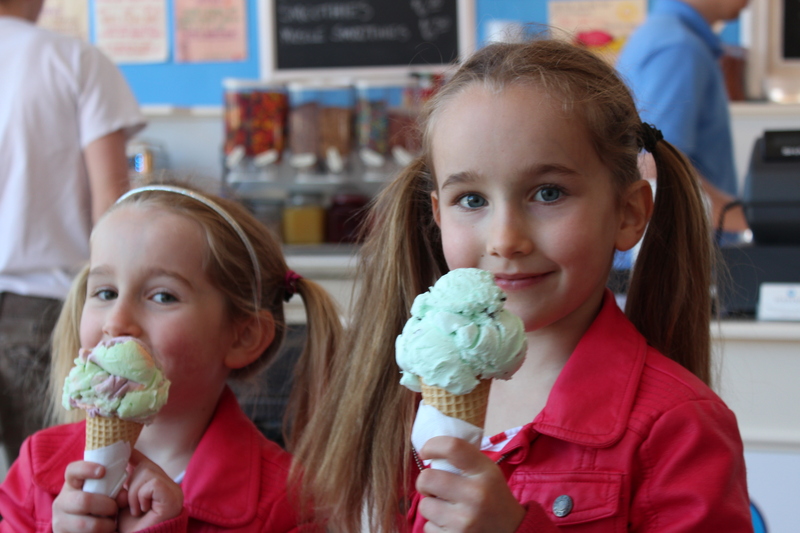 We settled on mint choc chip and rainbow sherbet – yummy! 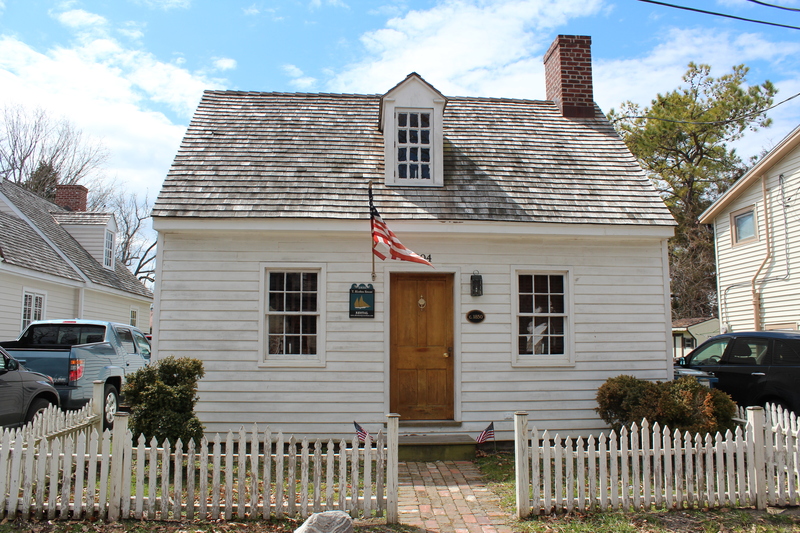 There are so many quaint and carefully restored old homes in St Michaels. Many are now rented out as holiday homes. Back home we indulged in some more strenuous couch time whilst the girls made up elaborate games outside involving the bait trap and fishing net they found by the jetty. I roused myself enough to throw on my running gear and Richard and the girls dropped me back on the outskirts of town. Five kilometeres and about thirty three minutes later I was home to the sights and smells of steak on the BBQ and a glass of red wine with my name on it. 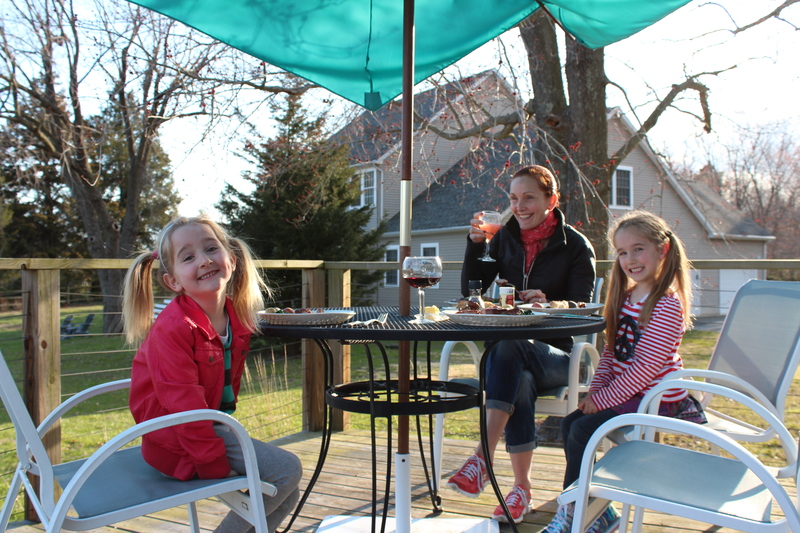 Dinner al fresco – coats still a necessity unfortunately. The combination of fresh air, sunshine, a couple of runs and a wee tipple had us in bed early. Our plan for Saturday – to explore the maritime history of St Michaels. Until then, I’m off for another wee tipple! !